The gas giant Saturn revealed in all its splendour by NASA’s Cassini spacecraft. It’s been a busy time in space with a Thanksgiving meal that was out of this world, as well as the beginning of the end for the Cassini mission (but not without a spectacular final view) and a new fuel-less rocket that set the internet alight might be a misfire after all. It was a tasty Thanksgiving in space as astronauts about the International Space Station chowed down on a full traditional dinner of turkey, candied yams (seriously ewwww) and even cranberry sauce. Their meal has come a long way from the early days of NASA’s space exploration with the Gemini and Apollo missions serving up good in a straw. However, the food still can’t be flaky as crumbs would float in the air that astronauts might then breathe in or get into delicate electronics. So no ‘astronaut-icecream’ I’m afraid, although created as part of the early space race it didn’t make it into orbit! The issue of eating in space is tricky, you need the astronauts to have a balanced diet for their health and also a varied one for their mental wellbeing. However, it’s incredibly expensive to launch resupply missions on rockets (anywhere from $2000 to $20,000 per kilo depending on your supplier) so you want to keep the weight down. One easy solution is to remove water (dehydration or desiccation) while another involves removing as much unnecessary packaging as possible. This can make it difficult to offer a range of tasty and fresh foods, although currently NASA has trialled growing lettuce in space. Restrictions for weight are particularly onerous on the long and expensive mission to Mars in the Orion spacecraft. For that NASA has created a range of super-healthy breakfast bars, from orange cranberry to barbecue nut. Definitely not quite as varied as the 200 different offerings that ISS crew have gotten used too. 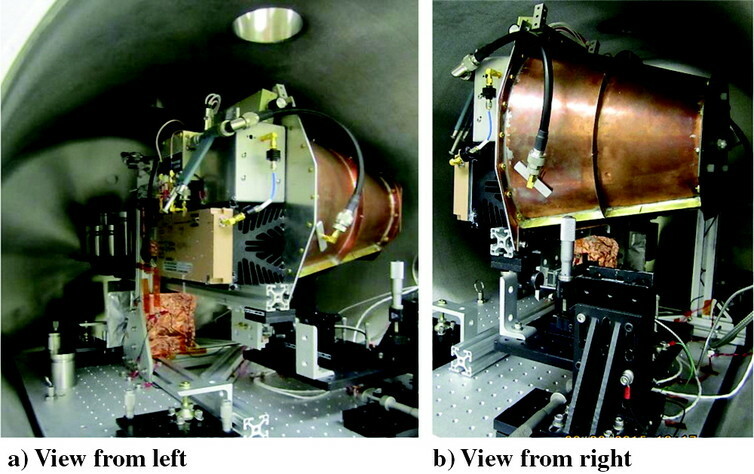 The internet has gone into overdrive about the peer-reviewed publication of a test into a new type of rocket known as a RF resonant cavity thruster. Also termed the EM drive this device has been discussed for several years but this is a significant advance in terms of scientific respectability. Imagine a home microwave oven, bash one side down creating a cone, now turn it on. You wouldn’t imagine it could fly and neither do most scientists and yet controversially this is precisely what the EM drive claims. In effect it appears to be able to generate a forward thrust without apparently pushing anything backwards. All rockets, indeed all objects, can only move forward by pushing something else back, this is their fuel expelling out the back as a flame. It is the core of Newton’s 3rd Law, and something that breaks this also breaks physics. The results of the latest test in a vacuum chamber at NASA’s Eagleworks Lab show that there is a small but measurable displacement of a spring in a force gauge when the microwaves are turned on in the EM drive. The cone appears to somehow be compressing that spring without requiring a fuel. The jury is still out but one convincing explanation I’ve seen is that this is simply thermal expansion as the microwaves heat up the device. Science is all about testing theories and experimenting, the case of the EM drive is no different and further investigation into such a fascinating topic will ultimately explain if it’s new physics or subtle experimental issues. In November 30th, after a dozen years of groundbreaking science around Saturn, NASA’s incredible Cassini spacecraft will begin its final mission. As befits such a spectacular spacecraft it will have a spectacular swansong, plunging between the gas giant and the innermost ring. As part of this Grand Finale the spacecraft will undertake 22 orbits threading the 2400 km gap, exploring both planet and the innermost ring in unrivalled detail. A stunning vision of Saturn captured by NASA’s Cassini spacecraft over the course of 4 days, notice the hexagonal storm raging on the pole and banded structures in the rings indicating the presence of Shepherd Moons. The famous rings of Saturn, first noticed by Galileo as ‘ears’ around the planet, are not solid objects but rather countless pieces of rock and ice all spinning around the planet in many separate bands. Some bands are separated by significantly larger gaps than others, indicating the presence of ‘Shepherd Moons’ whose gravity constantly clears out the region. 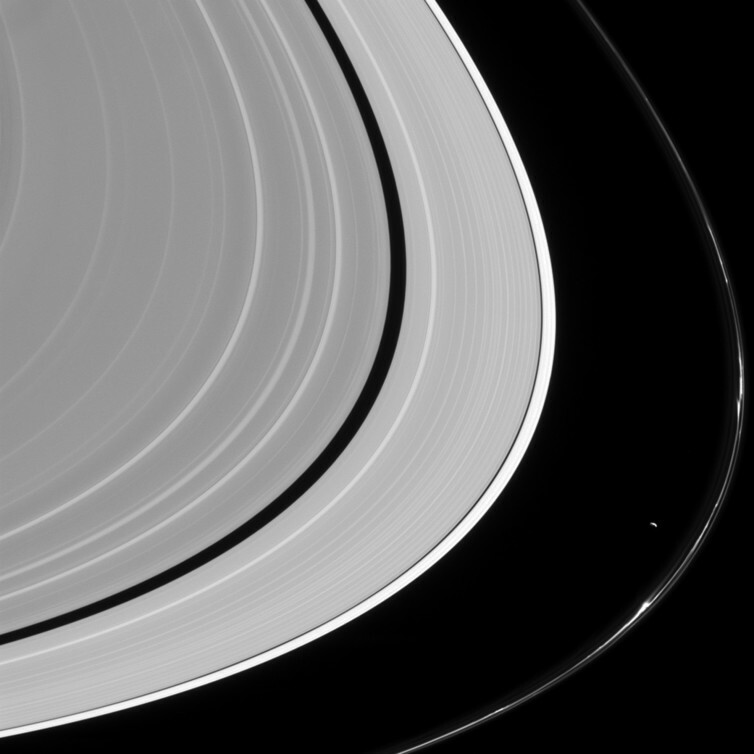 The outermost ring (known as the F-ring, with rings named in the order they are discovered) stretches full 140000km across. Yet the overall structure is barely 20m thick meaning if the ring was as thick as a CD, the CD would stretch for 3km! The close up view of planet and rings will hopefully reveal just how old the rings actually are, as well as finally answer the surprisingly tricky question – how long is a day on Saturn? As the Cassini spacecraft runs ever lower on fuel it will be instructed to crash into the Gas Giant rather than risk colliding, and potentially contaminating, moons such as Enceladus which offer the prospect of life. A fittingly noble and spectacular sacrifice for such an incredible mission, although if there was a fuel-less rocket that worked then perhaps an unnecessary one. Written by Alan Duffy, Research Fellow, Swinburne University of Technology. This article was originally published on The Conversation. Read the original article.